Sock It To Me 5th Annual Sock Design Contest: 2nd Place Winner. 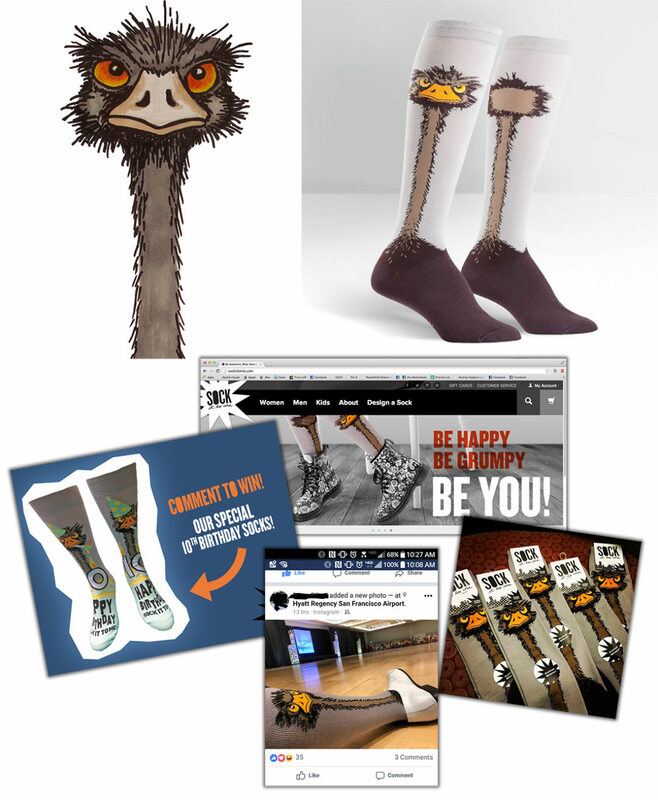 Since winning, the sock design has been used repeatedly, appeared in promotional online advertising for the company. Additionally, the sock design can be found on social media as people wear the sock and post their pictures with it. Responsibilities: Created the drawing using Sharpie markers, scanned image and created layout for the sock design. Prepped file to go to Sock It To Me for use within their production.